For today’s interview with sustainable tourism thinkers, shakers and doers, we take you to Vienna, Austria. 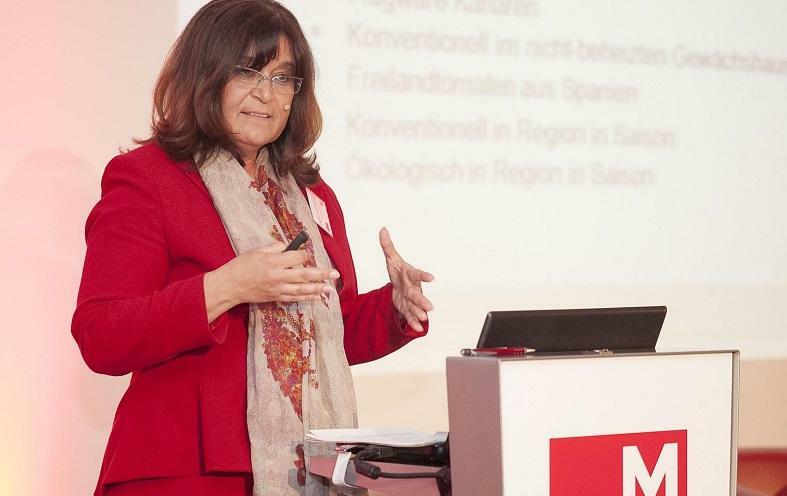 Meet Dagmar Lund-Durlacher, a leading academic at Vienna’s MODUL University and well known for her work as chair of the BEST Education Network, an international initiative dedicated to building excellence in sustainable tourism teaching and education. Her career advice to students and starting researchers. Dagmar, a few words about your current responsibilities and professional background? Since 2007, I am the head of the Department of Tourism and Service Management and Dean of the Undergraduate School at MODUL University Vienna, where I have been a founding member. Prior to my appointment at MU, I directed a market research institute in Berlin and was appointed as professor for tourism marketing at the Master Program for Sustainable Tourism Management at the University for Sustainable Development Eberswalde (Germany). I completed my doctoral studies at the Vienna University of Economics and Business and held a Research fellowship at the Department of Hospitality Management, University of Central Florida, Orlando, USA, funded by the Fulbright Commission. Since 2008 I am part of the executive committee of the BEST (Building Excellence in Sustainable Tourism) Education Network, which I chaired from 2010 – 2014. Furthermore, I chair the Certification Council of TourCert, a non-profit organization for certification in tourism, and I am a member of the Scientific Advisory Board of Futouris, a global initiative of tourism companies committed to the “improvement of living conditions, the preservation of biological diversity and environmental and climate protection”. I am member of several scientific tourism research networks. My current research interests focus on environmental management systems and Eco certifications schemes for the tourism industry, climate change and sustainable transportation, corporate social responsibility as well as sustainability in higher education. When did you first hear about sustainable tourism? Having joined the anti-nuclear and peace movements as a high school student in the late 1970s, I have gotten interested already in sustainable tourism during my graduate studies of business administration in the mid 1980s when the term sustainability had not been born yet. It was the time when the first criticism of mass tourism arose, because social and environmental impacts of mass tourism became visible also in the small and beautiful Austrian alpine destinations. Alternative forms of tourism were being discussed, called soft tourism or alternative tourism. During a conference in Lloret de Mar, a mass tourism destination in Catalonia (Spain), I got to know my Swiss colleagues Jost Krippendorf and Hansruedi Müller and our discussions about the potential risks and negative impacts of mass tourism reinforced my interest in sustainable tourism and inspired my future research. I stayed connected with my Swiss colleagues who at this time were leading the discussion about alternative forms of tourism in Europe. In the 80s and early 90s I was mainly concerned with the negative ecological and social impacts of tourism and exploring ways to avoid or combat these. This has constantly developed into a more comprehensive and holistic view of sustainable tourism aiming to improving society’s well-being and maintaining the natural resources for future generations. As a leading sustainable tourism researcher, which have been the main lesson/insights for you personally? It takes a long time to fully grasp the complex concept of sustainability and there is nothing like a 100% right solution for sustainable tourism businesses or destinations. Sustainable tourism development is a process of learning. It is about involving all stakeholders, developing mutual beneficial relationships, embracing principles such as transparency, honesty, trust, inclusiveness, information sharing, consensus decisions and shared responsibilities. Engaging all stakeholders in the developing process and transparent and inclusive communication is maybe the most important lesson which I have learned. The awareness among policy makers, the industry and the consumer has definitely increased in recent years but we are still far from sustainability becoming mainstream. The major part of business is still going as usual, despite the growing environmental concern due to the global warming discussion, natural disasters and food scandals. But sustainability has made it at least on the agenda of major industry associations and governmental bodies and there are many great initiatives to encourage sustainable tourism. Why did you decide to lead BEST EN (Building Excellence in Sustainable Tourism)? To my knowledge, BEST EN is the only international network of academics who are focused on research AND teaching in sustainable tourism. When I got again more engaged in teaching, I was searching for appropriate teaching resources and found the BEST EN website and their resources. I was very impressed by their open access policy and joined the network in 2006 and became an executive member in 2009. From the beginning, I was impressed by the inclusive and collaborative working atmosphere of the network, the people who all were driven by the desire to develop and strengthen the concept of sustainable tourism. It was an honour and a pleasure to accept the chair position knowing that I was supported by an active and committed executive committee and many supporters within the network. We all had the same goal, to “create and disseminate knowledge to support education and practice in the field of sustainable tourism.” And I enjoyed every minute working with a dedicated team of very knowledgeable and engaged academics. Your main insights from your four years at BEST EN? The field of sustainable tourism calls even for more interdisciplinary research than tourism itself already does. Working with colleagues from different disciplines such as economics, psychology, anthropology, geography and many more provides the opportunity to look at issues from different perspectives. There is definitely still a need for profound research in the field of sustainability, but not only creating knowledge through research is important, emphasis also has to be placed on disseminating this knowledge to our students, the industry and the wider public. One important task of academics is the transfer of knowledge and BEST EN always aimed to develop and provide educational resources in different formats which are accessible to all. One of BEST EN’s major strategic decisions was to provide research and educational resources free of charge because we wanted to provide these resources especially to students and colleagues who did not have the financial means to buy them. Therefore, most of the resources produced by BEST EN ‘friends’ are downloadable from the BEST EN website for free. There is also no membership fee for joining the network and for me BEST EN is a very good example for a network which is pulled together by a common goal and not by formal structures. How do you assess the current situation in Austria in terms of sustainable tourism? And Germany? The topic of sustainable tourism is not very prominently on the agenda of the tourism industry in Austria. I have been thinking a lot about the reasons for this absence of public discussion and in my opinion this is due to the fact that tourism in Austria is still taking place in a quite healthy environment, and that sustainable tourism topics are not a major concern for Austrian tourism businesses. On the other hand, sustainability has certainly reached the public discussion in Germany, especially the large tour operators and cruise lines are affected, but also destinations in Germany are preparing for more sustainable tourism offers. In Germany, politics and industry associations show a clear commitment to sustainable tourism development and German based initiatives such as FUTOURIS or TourCert underline the importance placed on this topic. Your (career) advice to graduate students and emerging researchers interested in sustainable tourism? Don’t lose your passion. It is not easy to find jobs in sustainable tourism, especially well paid ones. Get engaged with networks and stay close to decision makers. If a sustainability approach is not supported by the decision makers of an organization or business, it most likely will fail. One of the key skills necessary when working in/for sustainable tourism are excellent communication skills, because communication with stakeholders within and outside the organization or business is crucial for a successful sustainable tourism development. Your favorite book on sustainable tourism in 2014/2015? Nachhaltiger Tourismus (2015), edited by Hartmut Rein and Wolfgang Strasdas. This is the first comprehensive book in German language which addresses the phenomenon of sustainable tourism. It was high time that this book was published because the majority of tourism programs in the German speaking world are still taught in German and with this book many student cohorts will be reached with this important topic. This leads me to the remark that we still face a language barrier in our globalized world and that we have a lack of knowledge about the research of our colleagues in regions such as Latin America, France, China etc. In your view, where is sustainable tourism research and teaching headed in Austria and Europe (trends)? Besides environmental aspects, there are more and more social aspects included in the sustainable tourism research agenda. Still climate change, negative environmental impacts, resource scarcity, and mobility issues are seen as important topics, but social issues such as integration, poverty alleviation, work force related aspects, and social well-being gain importance. In recent years also the concept of social entrepreneurship entered the research agenda. A positive development are the increased efforts to measure sustainable tourism by developing and applying sustainability performance indicators as well as to measuring the social impacts. Which is the best way to connect researchers and professionals in the sustainable tourism field? In which way can they help each other? Through common goals and joint projects, be it in joint research activities or knowledge transfer. It is important that researchers and industry communicate with each other. Researchers should know firsthand about the questions and problems the industry is facing and expert panels can be a good way to exchange this information. On the other hand, it is also important that researcher transfer their research results to the industry and often this is not very successful due to the lack of common platforms and language. Research results are often presented in a very sophisticated manner exclusively in scientific journals which are not accessible or read by the industry. This would call for a ‘translation’ medium which filters the relevant information and provides it in an applicable format to the industry. 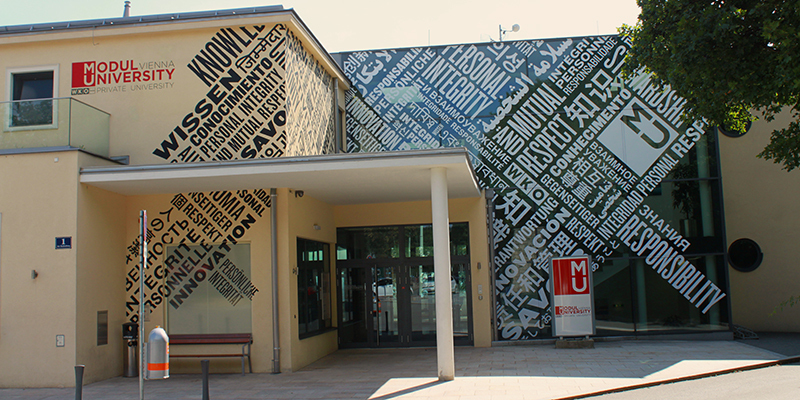 For more about MODUL University, visit modul.ac.at. We highly recommend the many resources and case studies provided by the BEST Education Network via besteducationnetwork.org. Enjoyed our interview with Dagmar Lund-Durlacher of MODUL University in Vienna, Austria? Share and spread the word!